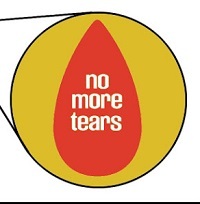 Bill Windsor of Lawless America has no more tears. He just ran out. Too many tears lost because of the overwhelming government, judicial, and law enforcement corruption in America. Here's the latest medical report on Bill Windsor. I continue to spend day after day meeting with doctors and undergoing medical tests. I really have run out of tears. I suffered a huge abdominal tear. Circumstances caused me to keep putting off surgery. I was originally scheduled for surgery in December 2013, but I slipped on ice during the horrendous Dallas ice storm, and I fractured my skull. The surgery was again set for November 2014, but I was unlawfully incarcerated in Ellis County and spent the next year or so in three jails or tied to a GPS ankle monitor. In early 2016, I began having pain in my abdomen. I was treated at an urgent care facility. When the pain became worse, they sent me to a hospital emergency room. I was diagnosed with an incarcerated umbilical hernia. A CatScan confirmed this; my bowel was being strangled by my intestines. I was rushed straight into the operating room. I was in the hospital for 12 days. The incisions were slow to heal, and I developed complications. I have seen approximately 10 doctors and dozens of nurses so far, and I have had a wide variety of tests with more to come. I was thoroughly evaluated by Mayo Clinic in Minnesota. I continue to suffer from severe back and neck pain; have bilateral leg Edema with extremely swollen feet, ankles, and legs; have extremely weak legs; have been diagnosed with Hypocalcemia; have been diagnosed with Osteopenia and have lost 1½ inches in height; have an enlarged prostate; have had pre-cancerous spots removed from my face; and have many symptoms that point to Multiple Sclerosis. I have had four Echocardiograms. My veins are great; my arteries are great; my heart is "spectacular;" my Cartoid artery is clear. So, why are my feet and legs swollen, and why do I have so much difficulty walking? I am beginning physical thearpy, and my table looks like a pharmacy. Between prescription medications and over-the-counter medications that have been prescribed, I have over a dozen bottles, tubes, and boxes of stuff that I take or use daily. Before the emergency surgery, I had only Protonix. I passed on two prescriptions -- $324 and over $500. I told the pharamcist I'll just have to take my chances. So, that's the latest medical news. There is a lot of corruption news...all bad. Ellis County Texas is breaking every law in the books trying to find me to put me in prison for the rest of my life. I'll write about it when time permits.